Lexus unveiled its 2013 RX 350 at the Geneva Motor Show just a few days back. This is an improved version of the older RX 350. Apart from the 2013 RX 350, Lexus also unveiled the facelifted version of the RX 450h F-sport model. These improved RX series crossovers adopt a much more aggressive look compared to their older cousins. This aggressive appearance of the RX crossovers came from the GS series vehicles and in the future will be carried over to the ES models. 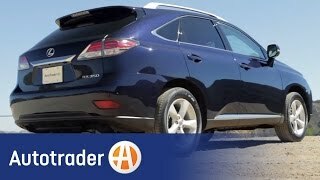 The 2013 Lexus RX 350 comes with increased color palette as well as an improved interior. 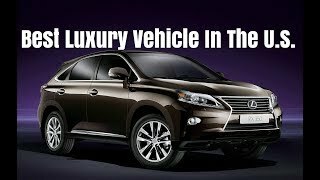 On the outside, the RX 350 sports an aggressive and elegant frontal appearance. 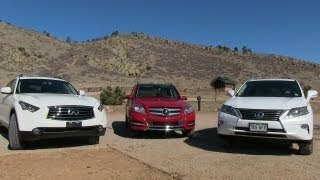 But the new FX 350 is by no mean a new car. It is only a facelifted version of the older one. The car may not do well in Europe, but people feel it will do well in markets like Japan and the US. In the front, the new Lexus 350 comes with a newly designed front fascia, combined with the ‘spindle grille’. Also found are the new LED daytime running lights, LED headlights and the redesigned fog lamps. The taillights in the back of the car as well as the deck fascia have also been given a new design touches. 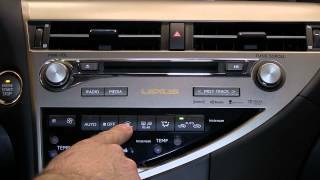 On the inside, the 2013 RX 350 has been given new Ebony Maple wood trim options along with saddle leather seats with contrasting stitches. This new interior is definitely a welcome break from the older and somewhat boring interior that Lexus cars used to have so far. Apart from that the RX 350 gets new steering wheel as well as a redesigned dashboard and central console. Powered rear door and iPod/mp3/USB ports are standard features in the 2013 FX 350. 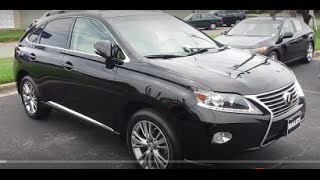 Under the hood, the Lexus RX 350 is powered by a 3.5 liter V6 capable of producing 270 HP. The engine has been mated with a 6-speed automatic transmission which has been fitted with multi-mode sequential shifting which allows the driver to choose their own gear options for some added fun. The customers will be able to choose between all-wheel and front-wheel drive options. The RX 350 will be launched in fall this year. Prices and other details of the car have not been released by the company. Be sure that if and when they are released, Dieselstation will be the first to bring them to you.